Life at Nash House is all about nurturing happy, independent children who love learning and feel confident expressing themselves. We make learning fun by stimulating our children’s natural curiosity, encouraging them to take risks and helping them to master fundamental skills. And we do it all with as much laughter as possible. Every class has a qualified teacher and teaching assistant who know their children – and their families – inside out. 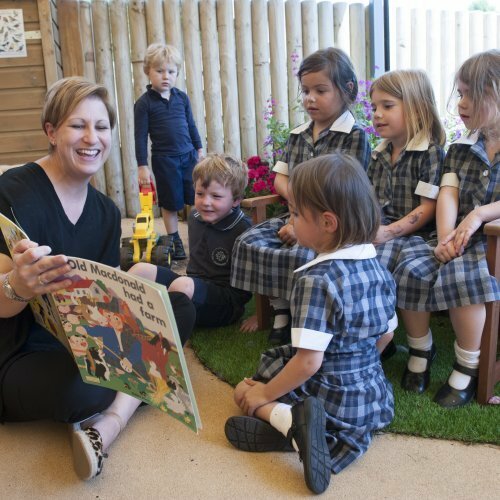 They tailor their teaching to suit the needs of each child, creating an exciting, encouraging environment where education becomes a joy. Each day is thoughtfully structured with a lively mix of teacher-led and child-initiated activities, so each child gets the maximum out of every moment. Our specialist Music, PE and French teachers enthuse our children with their extraordinary passion for their subjects. Teachers from the Upper School Art department work closely with us on our special art projects and are equally encouraging, creating an inspiring space where young imaginations can flourish. Finally, our Learning Support Department provides invaluable support, ensuring every child fulfils their unique potential. Our building and playground are designed to create a safe, supportive environment for our little community. Classrooms are flooded with natural light thanks to their south-facing aspect. Each has its own delightful and highly practical outdoor learning area under a retractable canopy, so no matter what the weather our children can enjoy the fresh air. In fact outdoor learning is an important part of our whole approach. 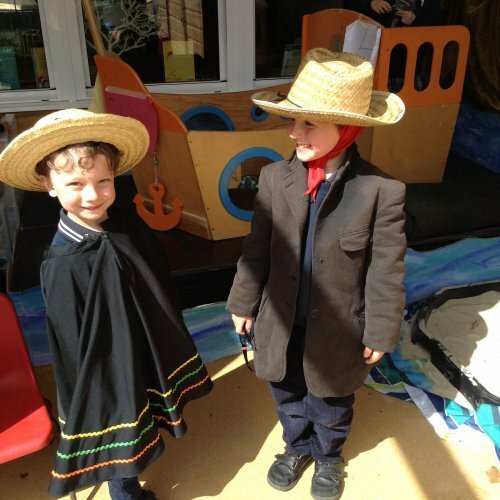 Children love to explore inside and out, moving seamlessly between their classroom and the outdoors, developing their ideas through purposeful play and going wherever their imaginations take them. 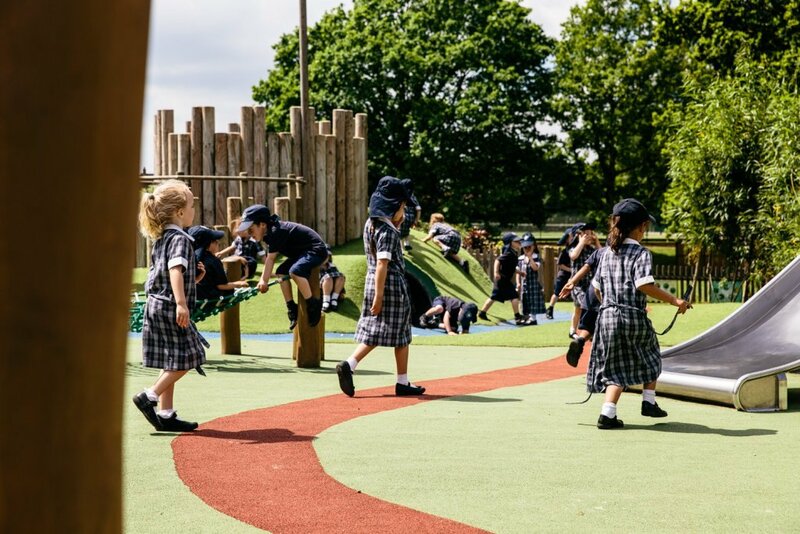 In their own dedicated playground Nash House children are safe to run free, grow vegetables, climb castles, cook mud pies, race on trikes, slide, hide, hug trees – and each other! It’s what every playground should be. We also frequently explore further afield, bravely undertaking expeditions into uncharted areas of our beautiful woodlands and extensive school grounds to seek fortune and glory. Of course our lovely grounds aren’t the only benefit of being part of a larger school. 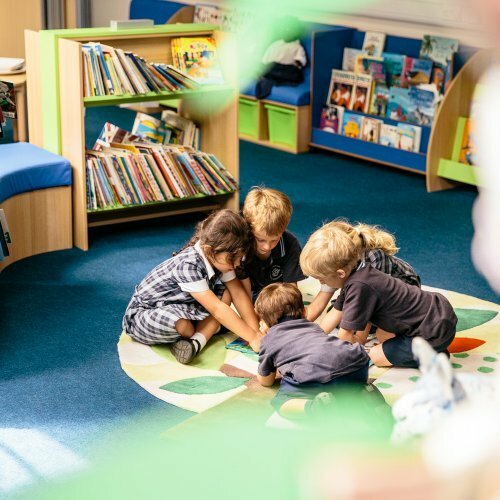 Upper School children are frequent and much-adored visitors to Nash House, and regular Little Stream assemblies and reading sessions add to the thrill of being part of the exciting school community. In fact a strong sense of community is at the heart of Nash House. 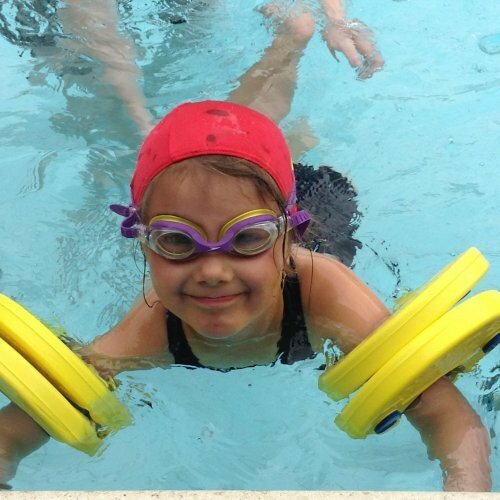 We want every parent, child and member of staff to feel part of one happy, cheerful family. 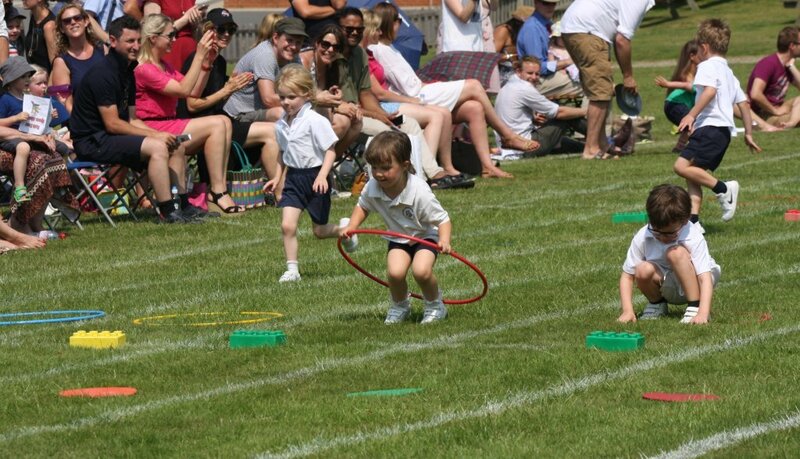 Our door is always open, and parents are positively encouraged to join our weekly assemblies, craft workshops, evening talks and our annual and much anticipated Sports Day. 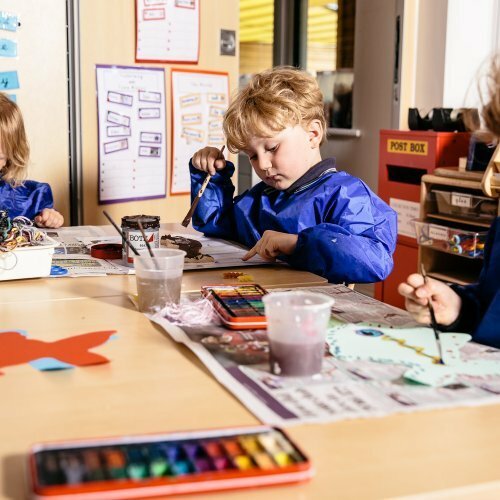 Nursery children can start with as little as three half-day sessions a week (or one full day and one morning), and gently increase the number of sessions over the year to ready them for longer days in Reception and beyond. Early Years Funding is available, enabling parents to claim up to 30 hours of free schooling per week if eligible. Nash House children start their day between 8.30 and 9.00am, with the choice of three different pick-up options: 11.45am (just before lunch), 1.05pm (which includes lunch and break time), or 3.40pm (a full day). We also offer a free early morning drop-off facility from 8.00am for children with working parents, and a well-supervised After School Care Club until 5.30pm every day. 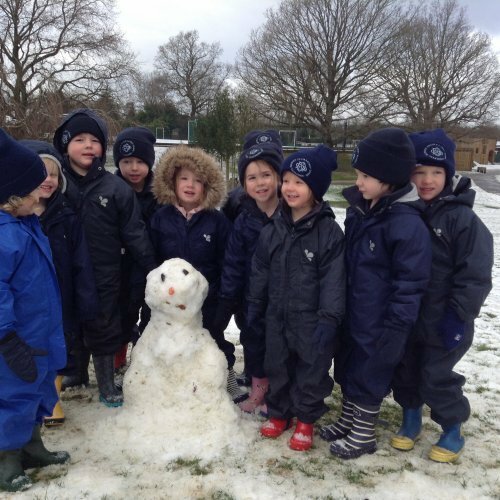 Reception children spend a full day with us from 8.30 am to 3.40 pm, with the option of a shorter day ending at 11.45 am or 1.05 pm on Thursday and Friday during Autumn Term to help ease transition into a full week. If you’re thinking of joining Nash House or you’d like to help prepare your children for the transition from home to school, then why not come along to our Tuesday Parent & Toddler session from 2.15 to 3.30pm? These relaxed sessions are run by Nash House staff, with the Head of Nash House joining the group for a singing session each week. They’re a great way for children to have fun at school and for parents to get to know each other and Nash House staff. Want to find out more? Just call the Nash House Secretary on 01580 713043.